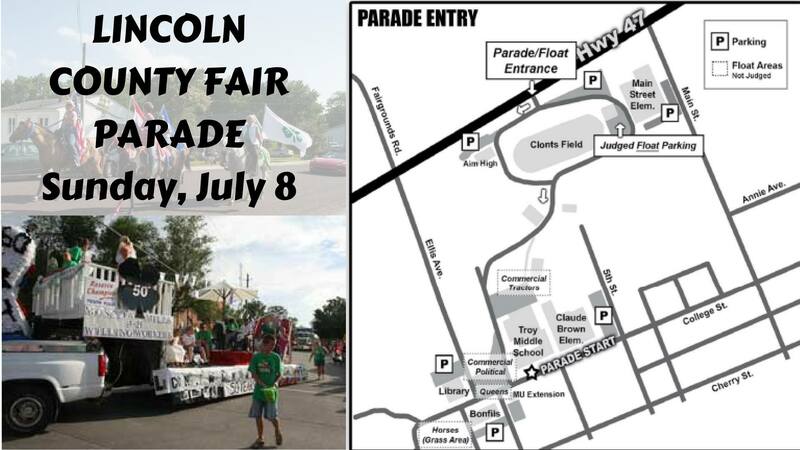 Please join us for the 58th Annual Lincoln County Fair parade through Historic Downtown Troy! 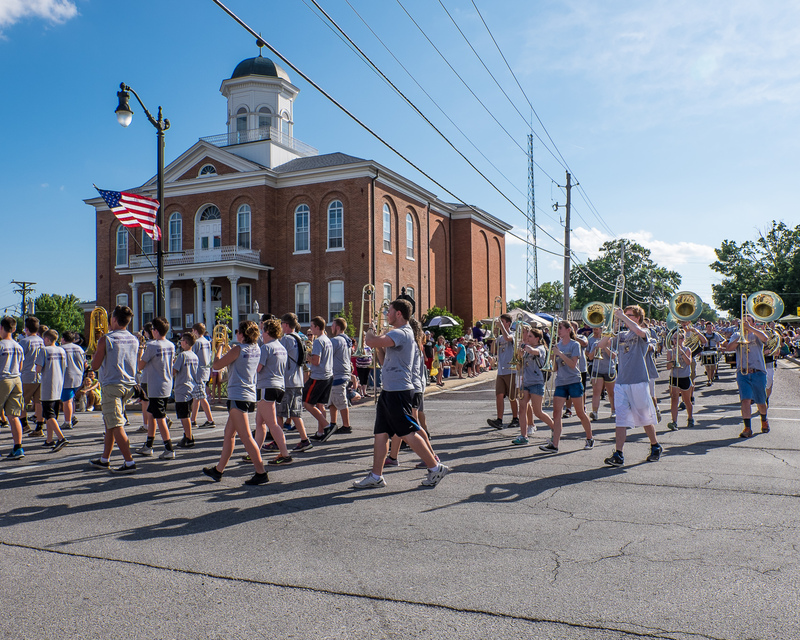 This annual event draws thousands of people to the community to kick off the week-long fair. 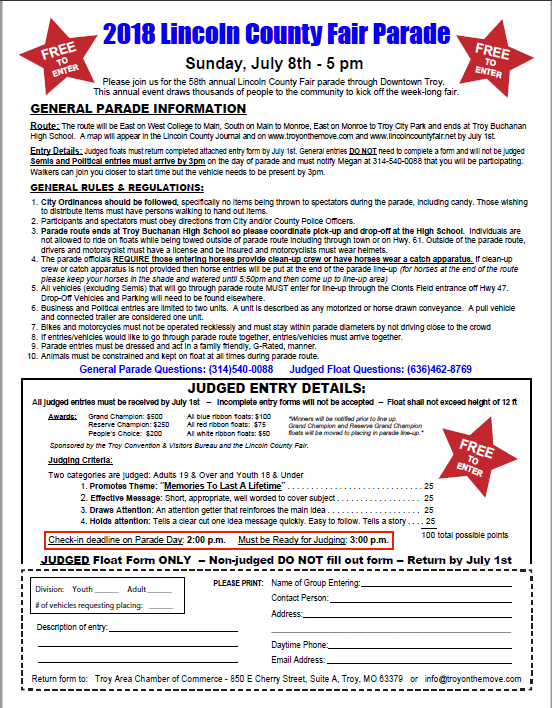 Route: The route will be East on West College to Main, South on Main to Monroe, East on Monroe to Troy City Park.